“We only have a problem with diesel. Petrol supplies have stabilised. We have enough stocks and that is why maybe the price has fallen. No retailer wants to hold it for long. The more we sell, the better the margins. 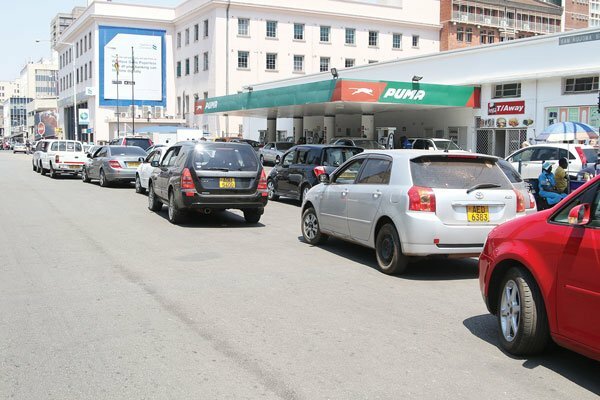 We have been asked to push volumes,” a fuel attendant in Harare said. “We are monitoring international oil prices and when they fall, our retail prices will follow suit. We will also allow the local market to determine the prices, but under strict monitoring. If international oil prices rise, you will see a similar movement here,” he said. In response, President Emmerson Mnangagwa’s government capitulated to public demands and indefinitely suspended sections of Statutory Instrument 122 of 2017 to increase the flow of basic goods into the market, mainly from neighbouring South Africa, ahead of the festive season and ease pressure on foreign currency demand on the Reserve Bank of Zimbabwe. The post Petrol prices fall appeared first on NewsDay Zimbabwe.